Brewers off to a great start to the season. 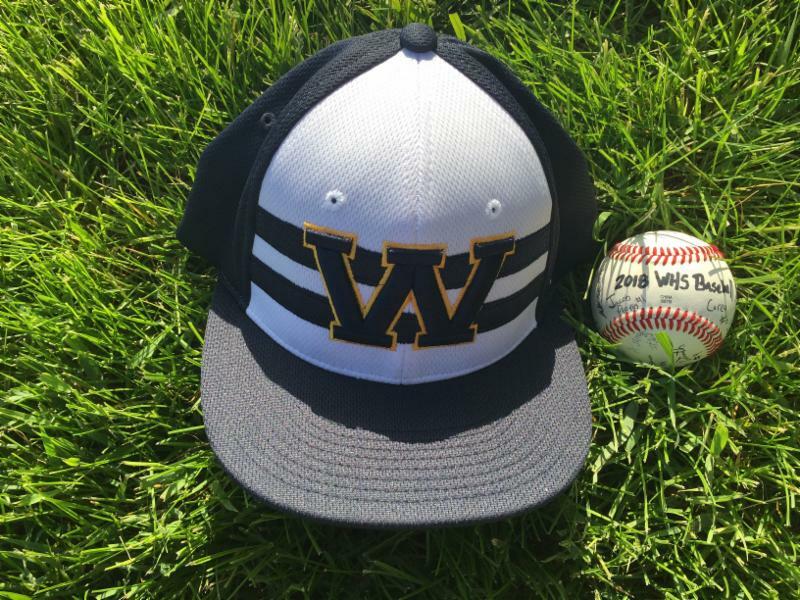 Whitnall Falcon Baseball started. Whitnall Girls' Softball in the playoffs. Seems like a great time to use some baseball analogies. This time of the year sure feels like the playoffs with culminating activities from classrooms and co-curriculars. This week alone, there was the HCE DARE graduation and tailgate, the EES Color Run, a WMS fieldtrip, WMS walk-a-thon events, the WHS Senior Awards and Honors Program, and WHS music concerts. At this time of the year, we also look at our roster of great staff and prepare to say farewell to those who will be retiring at the end of the year. They have all played their positions well and knocked it out of the park. We are looking forward to honoring them at a recognition event at the end of the year. We will also be recognizing those staff members in upcoming communications. And as we say farewell to some, we welcome new players to the Whitnall team. We can't wait for you to meet our incoming employees! On this extended weekend, enjoy the anticipated great weather and time with family and friends. Let's also not forget to pause on Memorial Day to honor the men and women who died while serving in the U.S. military. We will be holding a meeting for parents of students who are receiving Gifted and Talented programming services. This meeting will cover changes that took place over the course of the 2017-18 school year, and address updates for 2018-19. We are still looking for parent volunteers to form a GT Parent Engagement group! Several people have expressed tentative interest, but no outright volunteers have emerged as of yet. Please consider participating; the group would meet quarterly or as needed to discuss relevant topics and plan family engagement events. We will address the need for volunteers at the June 5th meeting, but if you are interested, please contact Lynn LeRoy at 414-525-8405 or lleroy@whitnall.com . We have been working to improve our math placement structure in grades 6 through 8 and would like to invite parents to hear how the math program will unfold for middle school students who are in need of either additional support or advanced opportunities. We have scheduled this meeting to immediately follow the GT meeting, as there may be parents who wish to attend both meetings. If you are interested in volunteering for the Hales Corners Library, check out information on their "Book Squad" program here ! The Hales Corners Library will be host to a Red Cross Babysitting Certification Class. Registration for the class starts next Wednesday (5/30). Click here for more info. The library’s hours of service over Memorial Day weekend: Open Friday 5/25 and Saturday 5/26. Closed Sunday and Monday. The library is closed on Sundays from Memorial Day through Labor Day. Board briefs are simple summaries of our board meetings. Without having to labor through or wait for the comprehensive board minutes, you can access what changes the board approved at each of their meetings! The latest board brief (for the May 21 meeting) has been posted. Check it out on the right sidebar of our Agendas & Minutes page. Summer school schedules have been set and are viewable in your Infinite Campus Portal. Summer school fees are now due. Please pay them online through your Infinite Campus Portal or send a check to the Whitnall School District Office. If you were notified of a canceled class, please contact Rene Freyer at rfreyer@whitnall.com with an alternate selection. Late Registration is now available! Here is the summer school brochure with course descriptions. Remember that courses are based on a student's current grades. Online registration has closed, so at this time please request registration by contacting Rene Freyer at rfreyer@whitnall.com or 414-525-8414. Late registration will be on first-come, first-serve basis. A reminder to all seniors that iPads will be turned in during their 2nd hour exam period on Thursday, May 31. Students are expected to return everything that was originally loaned to them (iPad without any damage, Otterbox, Cover Shield, Charger Block, and Sync Cable). Items not returned will be billed to their Infinite Campus accounts and must be paid in full before their diploma will be issued. Students who do not have a 2nd hour exam or are off campus during this time will need to make alternate arrangements with the Help Desk. If students do not need their iPad for all exams, they can turn it in early by contacting the Help Desk and arranging a turn in time. The Middle School/High School Jazz Band Concert is on Wednesday, May 30th in the HS Cafeteria. The WMS student body elected to send this year's Walk-a-thon proceeds to KidsMatter , an organization that helps foster children in Milwaukee county. Two ways you can help us are through our GoFundMe page and our student-organized sports challenge on May 22nd at 5 PM. Last week, all students heard from Mr. Lance Jones, a lawyer who trains volunteers at KidsMatter, about the organization and how it helps children. A lunchtime bake sale and T-shirt sales will begin on May 21st. Remember that all library books are due by Friday, June 1. 8th grade parents - we need your help. If you can volunteer at the 8th grade promotion event on June 6th, please click here . If volunteering, you need to have a current WSD background check on file, which you can do by Tuesday, May 29th using this link . Please note the change of time for the promotion ceremony - 6 PM in the HS Gym. Tuesday, June 5th is Edgerton Family Day at Culver’s. Bring the coupon with you, and a portion of the sales will be donated to the Edgerton PTO. Culver's Flyer and Coupon. Book Swap - Last Call! We are still collecting books for our book swap to be held on June 6th. If you have any gently used children’s books your family is no longer reading, please consider donating them to the book swap. With enough donations, every child at EES will take home new and exciting books for their summer reading! Donations may be dropped off at the Edgerton office during regular school hours through May 31st . Thank you! Friday, June 1st is an all school field trip to the zoo. Please make sure your child brings a lunch and is dressed appropriately for the weather, including comfortable shoes for walking. We will plan on going unless the weather is severe. The students and staff are looking forward to this great learning experience! Looking for a quick and convenient way to purchase school supplies for next year? Visit this LINK for more information. Orders placed by Friday, June 8 will ship to school for free; after June 8, shipping charges will apply. Last day to order is Saturday, July 21. WHS seniors will visit HCE on Thursday, May 31. HCE students and staff will gather in the halls to congratulate our former students on their upcoming graduation. The PTO will sponsor our end of the year student reward carnival on Friday, June 1. This is a fun event to reward students for their positive behavior and hard work all year. Please join us that day as a volunteer and help the students celebrate. You can sign up HERE . Thanks to the PTO and the many volunteers that help with this event!